When I wrote a blog in early 2015, I was recollecting how 2014 had been a year of changes and adjustments. So I suppose it’s only natural that 2015 feels like it’s been a year of new things: newfound direction and interests, new challenges and new priorities. I don’t know if it’s just me but I feel like time has got a little out of control. The hours and days zoom past and I find that it’s all of a sudden a new month, and now, to my shock, a new year. So, before 2016 gets away from me too, here are some new things from 2015….. It was almost exactly a year ago today that I landed in India with my yoga mat, a bundle of nerves and excitement. I wanted to spend some time away from climbing and focus on learning a set of new skills. I had no idea how much that trip would shape the rest of my year, I didn’t know if I would even like teaching yoga, if I would be any good at it or if anyone would come to my classes. I was pretty terrified of people coming to my classes actually. Part of me would advertise a class and then pray that nobody would turn up. Luckily, after the first few classes, the nerves subdued to a good level of anticipation and I settled into teaching and holding a space for people and I began to love it. This felt like a huge new thing. I love climbing and being given the opportunity to climb professionally is a dream, but I have always felt uneasy about the privilege and the inevitable focus on myself. I wanted to find a way to give back some of my time and my energy to other people in a meaningful way, but until last year, I didn’t know how. 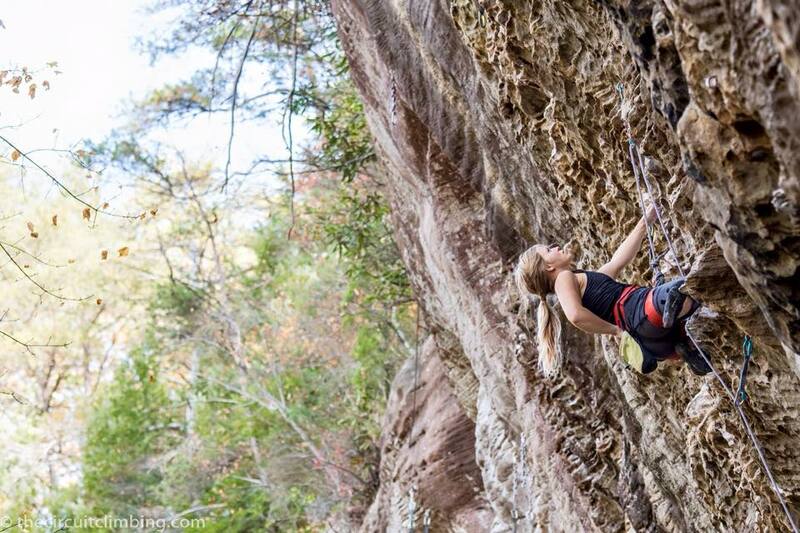 Now I feel like this is the beginning of something that I can really put my heart into alongside climbing. Route climbing focus! Until 2015, I have been primarily a boulderer who dabbles in route climbing. But last year, sport climbing was definitely the focus. Having done Mecca Extension (8c) in 2014, I realised that I could do the fitness thing and decided to widen my horizons when it came to climbing. I came back from India and went to Oliana ready to start my 2015 climbing with some fun Spainish routes. Even now it makes me chuckle when I look back. I hadn’t anticipated fear being such a big barrier. When I look at the climbing media, I often think I must be the only person that gets gripped by the fear of being above my bolt. It’s totally irrational, I know I’m not going to hurt myself but there it is, this surge of gut wrenching fear. It makes me freeze; hesitate, even down climb sometimes. In Oliana, it ruined the climbing element of my trip. I couldn’t push myself physically because my head was holding me back. I felt so silly! Luckily, back in the UK, the bolts are not very spaced out at all and it meant I could climb with less fear and get bolder gradually. If you’d asked me in Oliana, I would have said I felt the fear was an insurmountable problem. Now, I can say it is always there a little bit but I have learned to push it away gradually and control it. The key for me was to not jump in the deep end (Oliana felt like the deep end). In the Spring of 2015 I climbed Bat Route (8c) which felt like a real milestone, as my second 8c it told me the first wasn’t a fluke, I was actually a route climber! 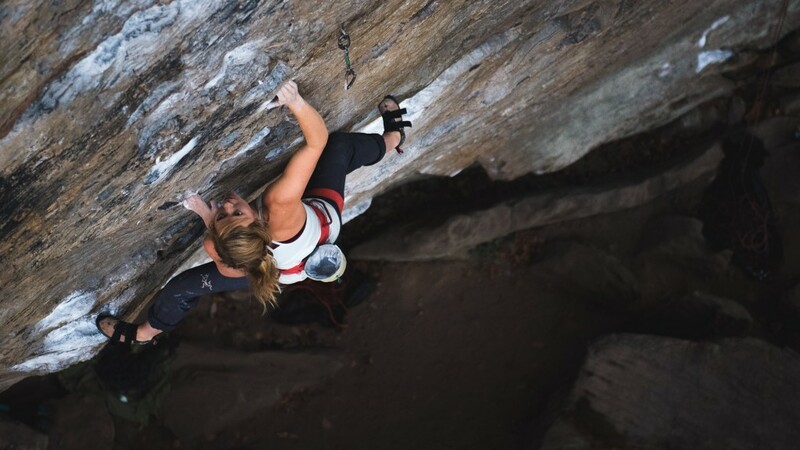 In the autumn, Katy Whittaker and I ventured on two trips, first to Waterval Boven and Wow Prow (see blog) and secondly to Red River Gorge. In terms of fear, Waterval Boven was a great trip. I managed to send Godzilla (8b) relatively quickly (for me) and I found myself skipping quick draws on the crux headwall to save energy. In Oliana I would never have thought that possible! If you struggle with fear when climbing, have a listen to the audio interview on Hazel Findlay’s blog where she and I discuss the ins and outs of fear. However, there was also another learning point during this time (beginning really from after I did Bat Route) – while focussing on fitness, I had lost a lot of bouldering strength. I found that I could recover well on good holds but my pure strength had decreased and with that my anaerobic capacity had also plummeted. Hmmm….back to the drawing board. Strength training is hard. This is obviously not new in itself but I have discovered a new side to it. 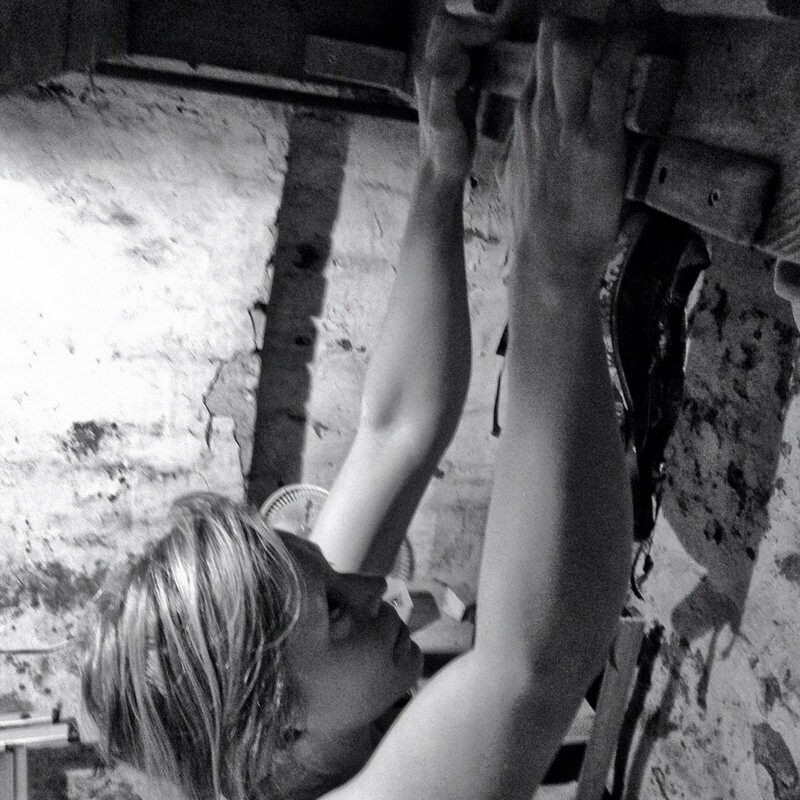 In previous years I have trained very hard but my body has felt responsive, moulding into good shape for climbing. The sessions were bloody hard but the results were clear. There was a linear demonstration of cause and effect for my motivation to cling to. This year, it has not been so clear and, as a result my motivation has been a lot more up and down. After sending Bat Route, I had some well earned down time: reduced activity, loosening my restraints, eating more chocolate etc etc. In my mind, I thought I would easily spring back into shape in a matter of weeks. Ha! It was a massive struggle. I put on weight that I struggled to shift but tried not to put undue focus on, I felt exhausted from sessions; I worked really hard to see minimal gains. After the trips in the autumn where I was climbing most days, I came home feeling like a shadow of my former self! I was reasonably fit but weak. So I have taken a deep breath and committed once again to training, this time more structured and with the help of David Mason and Alex Barrows. I am trying to be more mindful of the process so that my motivation doesn’t require outcomes too soon, I’m trying to be compassionate with myself so that I don’t fear having time off again. And, very importantly, I am trying not to compare “now” to “before”. For whatever reason, maybe motivation, maybe age, maybe a more diverse focus, I am finding it harder than I used to. But that is just how it is. It will be more of an achievement now than it ever was before, because now it is more of a fight. I learnt to ski!! I’ve never skied before, I tried boarding once and spent 3 days just landing on my bottom! 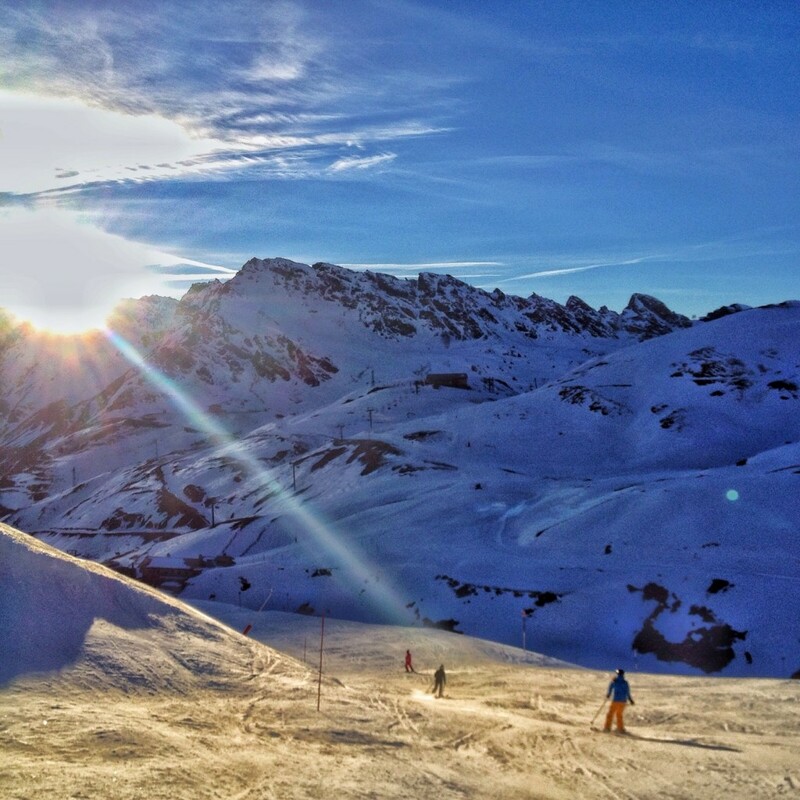 Skiing came a lot easier and I spent a lovely Christmas skiing all day everyday with my family :). So, lots of new things and lots learnt. Looking forward to more new things in 2016! I’m starting this year by heading back to India….. Happy New Year everyone, have a good one. What a fabulous year you’ve had. I’m pleased you managed the yoga teaching so well. Here’s to a wonderful 2016. 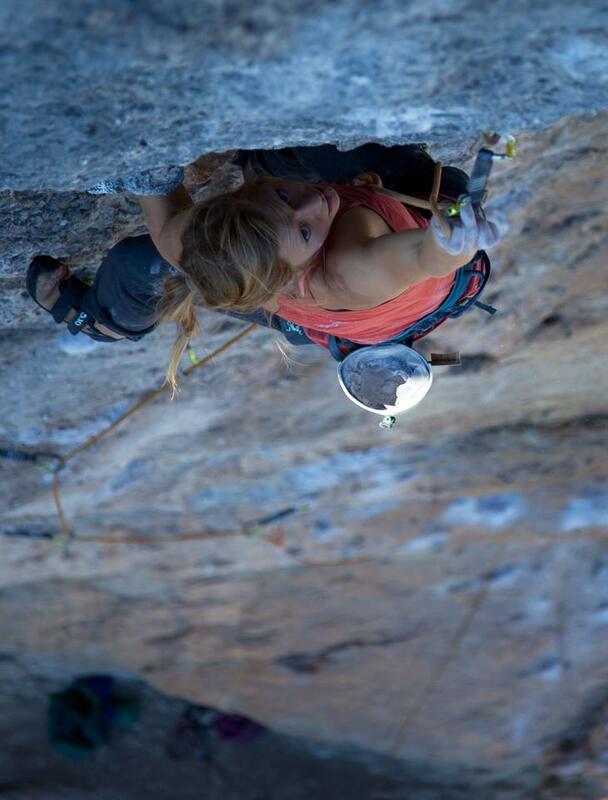 So refreshing to hear someone I admire so highly in climbing has the exact same fear as me! PHEW.